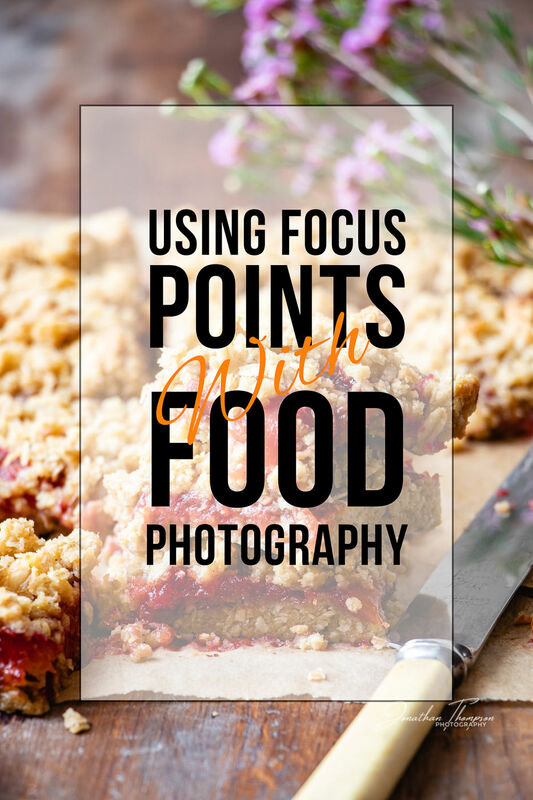 Hi everyone, I’m back with another food photography tips post and this time on how to use and choose all those focus points in your food photography. I’ll talk about autofocus points, single focus points and manual focus using focus points. 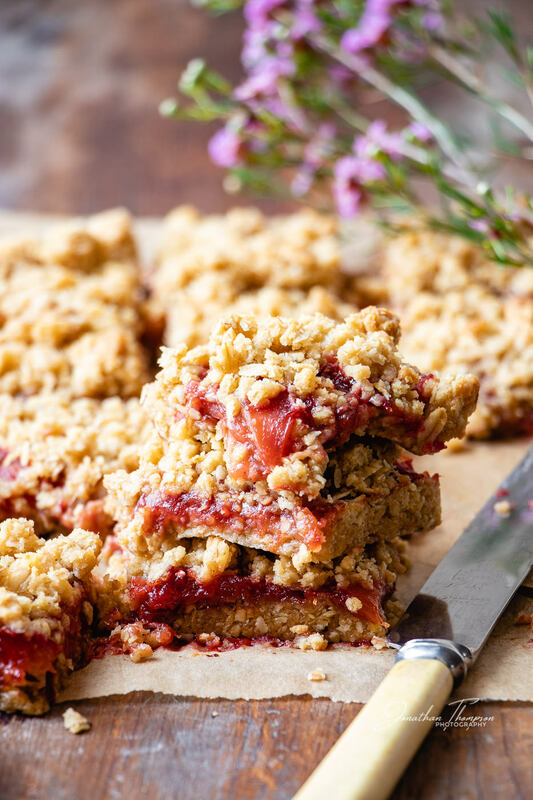 I may be stating the obvious but if you don’t get your focus right in food photography, you’re going to ruin your image and miss lead your viewer. That can be as simple as selecting the correct focus point and/or focus mode. Most of the modern cameras today have a plethora of focus points. The very latest mirrorless cameras seem to have edge to edge focus points, so there’s never one far away from where you’ll need it. So which focus point do you select? 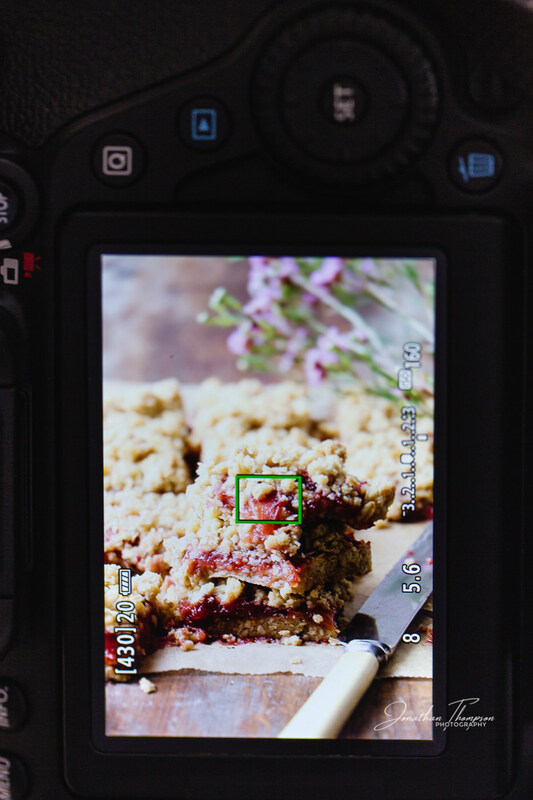 I have written an earlier post on Where To Focus In Food Photography, which you may find interesting, and what you’re trying to portray will dictate which focus point to use. Using your cameras super brain you can ask it to select automatically where to focus using multiple focus points. It’ll look at the scene and try to figure out where you want to focus and take several of the focus points to give you a sharp image. The next level of control beyond this is when you select the group of focus points you’d like the camera to use. Neither of these techniques are suitable for my food photography, the way I work. I’ve yet to be happy with the results when I’ve tried it. Each camera is different, even from the same brand. For me, the single focus point is the way to go. Our subjects are usually very slow moving and not particularly camera shy unless you want to add chefs into this mix. Choose the most important part of the scene to focus on. This could be your hero part of the dish. It will depend on the composition you choose for your food photography. Go into your focus point selection and choose the focus point which is closest to the part of the scene you want in sharp focus. 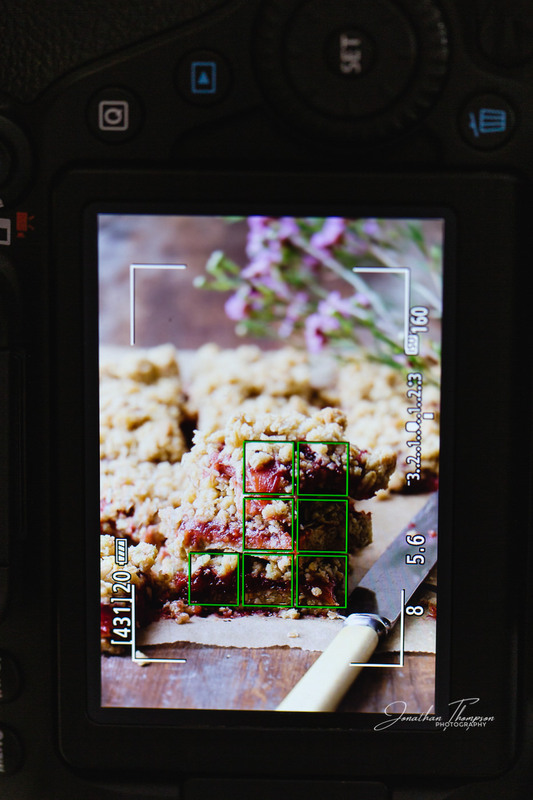 If the closest focus point isn’t where you want it, based on your composition, then you could lock focus on the hero point, then recompose the camera for your desired composition. When you’re using a tripod this gives you an option to use live view to obtain sharp focus. What I do then is select a part of the scene, using the camera’s screen, then zooming in on the back of the camera to get a closeup view. 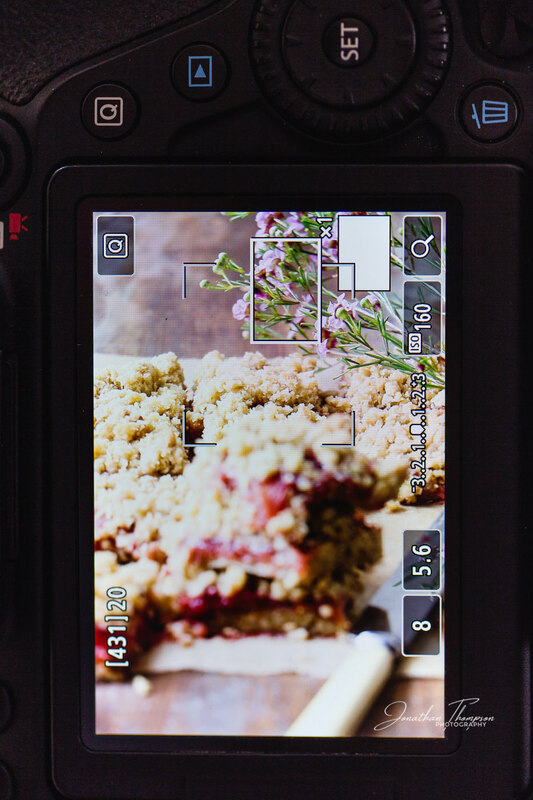 Then I use manual focus to pinpoint tack focus, making your food photography a bit more delicious. This way you’re not using a group or specific focus point, you’re using your own peepers to keep the image sharp on what you want sharp, not what the camera decides is important. My technique for using manual focus is to zoom in on the screen, to where I want to focus on. Then I turn the focus ring bringing it into sharp focus. Usually, I go past critical focus and roll the focus ring, back and forth, until I find the sweet spot. Some lenses allow you to keep them in autofocus and manually adjust the focus without switching them to Manual. Some of my older lenses don’t like this and you can feel the resistance of the focus motor. In this case, switch to Manual focus and roll on you crazy diamond. Just as a side note, sometimes I use continuous focus mode when I’m hand holding a shot. Some days I’m rock solid and other days I’m wavering around like wheat on a windy day. So if I have a particularly crucial shot to grab and I’m not convinced I will select focus without wavering away from that point, I switch on servo or continuous focus mode. Locking on a single focus point on the subject, using back button focus to continually track my distance from the subject. I’ll also do this if I’m grabbing a shot where someone is handholding the subject and we could both be moving very small amounts, this can prevent tack sharp focus. There are some other tricks to getting a handheld shot in focus, but I’ll keep you dangling for another quick post. Thanks so much for stopping by, I really appreciate each and every one of you. If there’s anything you want me to cover. please let me know in the comments, and if you like this it’d help tremendously if you’d share it via social media. See you back here very soon.